It’s no secret that the independent film scene in Japan is struggling right now, with the kind of eclectic features that in the past formed Third Window Films’ bread and butter relatively thin on the ground. It’s got to the point where Third Window now produces independent Japanese cinema, joining global investors backing up creativity and originality where domestic funding is in short supply. 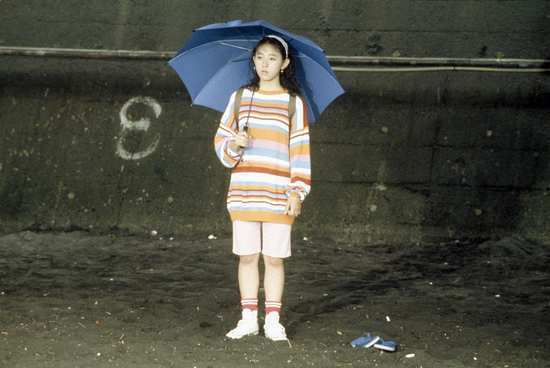 But thankfully for fans of Japanese cinema, there is a wealth of riches in the back catalogue, comparatively neglected up till now, but ripe for a high definition spruce up. When you look back at the Japanese cinema that we got on DVD eight or ten years ago, great movies they may have been, but the transfers were questionable, sourced from well-worn prints, presented on standards converted discs, possibly in letterbox format, or even of VHS quality. There is a whole lot of classic, independent cinema out there that is overdue for an HD presentation, and in recent months and years, Third Window Films have been spearheading that effort. Last year they took a wander through Shinya Tsukamoto’s catalogue, re-releasing the Tetsuo films, A Snake of June and Bullet Ballet, with beautiful high definition presentation, as well as Tsukamoto’s more recent Kotoko. I’m already salivating for this Christmas’ release of the Toshiaki Toyoda Collection, which contains one of my favourite films, 9 Souls. But this year, Third Window Films have been concentrating on Takeshi Kitano’s back catalogue, looking at some of his less mainstream films. They’ve already released Kikujiro, Dolls and Hana-bi, and later this year they will also release Kids Return. This month we get A Scene at the Sea, another film to get the full restoration treatment through Office Kitano, making its world Blu-ray debut here in the UK. Shigeru is a deaf mute who works as a rubbish collector, not exactly the most fulfilling of careers, but all of that changes when during one of his rounds, he finds a broken surfboard. 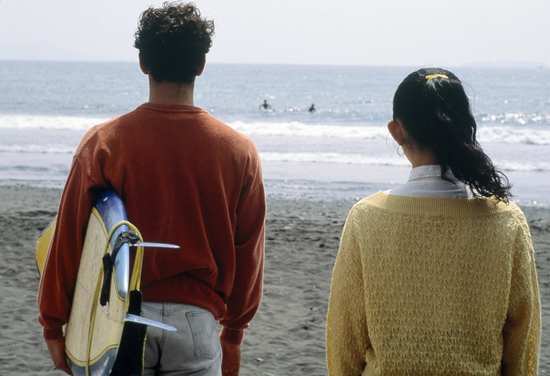 Instead of disposing of it, he sets about repairing it, and with the help of his girlfriend Takako, he starts learning how to surf. It’s not easy, especially with the ridicule of those around him, but slowly, and with the aid of a sympathetic surfboard-shop owner, he may have just found meaning in his life. A Scene at the Sea is presented on this disc with a 1.85:1 widescreen 1080p transfer. The image is clean and stable throughout, with strong consistent colours, a discrete level of film grain and looking properly filmic, down to the occasional flicker. It’s a melancholy, reflective piece, saving much of the motion and action for the surfing sequences, but generally keeping the image composed and relatively static. There are plenty of long and medium shots, and the camera lingers on its subject; this is very much a visual story, and the quality of the presentation on this Blu-ray serves the film very well. The audio is no slouch either, presented in crystal clear DTS-HD MA 2.0 Stereo Japanese form with optional English subtitles. With the film’s protagonist a deaf mute, his girlfriend similarly deaf, this is not a film with a whole lot of dialogue, although what there is from the supporting cast is clear enough. The subtitles too are accurately timed and free of typos. The film almost relegates that dialogue to background noise; it’s as much part of the ambience as the sounds of the ocean, while Joe Hisaishi’s score really serves the story well. There’s only the one extra feature on the disc, but it’s a good one, an informative, and detailed audio commentary from Jasper Sharp, well worth listening to. The audio levels are a little inconsistent on this extra though, as if it were recorded in patches. A Scene at the Sea is pure cinema, the art of visual storytelling that harks back to the silent era. You could conceivably watch this film with the subtitles turned off, and all you’ll really lose is some of the verbal comic antics from the supporting cast. When it comes to the main storyline, following the two main characters of Shigeru and Takako, the story is all told visually. Given that the main protagonist is a deaf mute, and his girlfriend is deaf, you can see how dialogue isn’t a mainstay of this film. The signs are there right from the first scene, as we see the ocean from Shigeru’s point of view, vast, blue, in constant motion, and utterly silent. It’s a small and simple story too, how Shigeru’s life is changed from the moment that he finds the discarded and broken surfboard, and starts learning how to surf. It’s a decision that has a lasting impact on his life, although the road is not easy to becoming a proficient surfer. Just like the average road to glory sports movie, it’s a road that is beset with potholes, but given the small scale, more personal nature of the story, these are small ups and downs rather than a roller coaster of drama. The biggest problem that he faces is the discrimination and ridicule aimed at his disability. Fortunately he has his girlfriend Takako to support him through thick and thin, mostly. 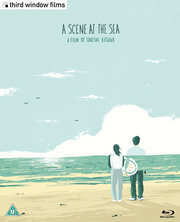 Minor speed-bumps and small triumphs they may be, but A Scene at the Sea excels in drawing you into Shigeru’s story, as he pursues his dream. 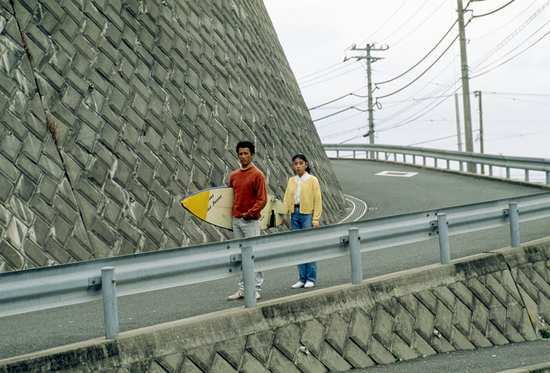 The message of the story is simple too, that life without passion, without meaning is nothing, and that Shigeru’s life truly began when he first picked up that broken surfboard, crudely patched it up, and first waded into the ocean. The film becomes a heart-warming and uplifting character study, and even with its unexpected conclusion, it retains that positive thought, that a meaningful life, regardless of outcome, is far more preferable to the alternative. Third Window Films once again come up trumps with an impeccable Blu-ray, offering the film is almost pristine condition, and with a useful audio commentary supplementing it. If you’ve been collecting their Takeshi Kitano releases thus far this year, you’ll be very pleased with A Scene at the Sea.